Iron is essential for our overall health, as it plays a role in numerous processes that occur in the body. Some rich dietary sources of iron include seaweed, red meat, crustaceans, chocolate, and spices. However, even though it is found in many foods, many people are deficient in it since it is not always well assimilated into our body. Our body cannot easily extract iron from the consumed food, transfer it to the body, and store it. Men should get a dose of 9mg of iron daily, while women and adolescents need 18mg daily. Women should get about 9mg daily during a menstrual cycle, and 20mg when pregnant, as iron supports the healthy development of the fetus, and is beneficial for breastfeeding. 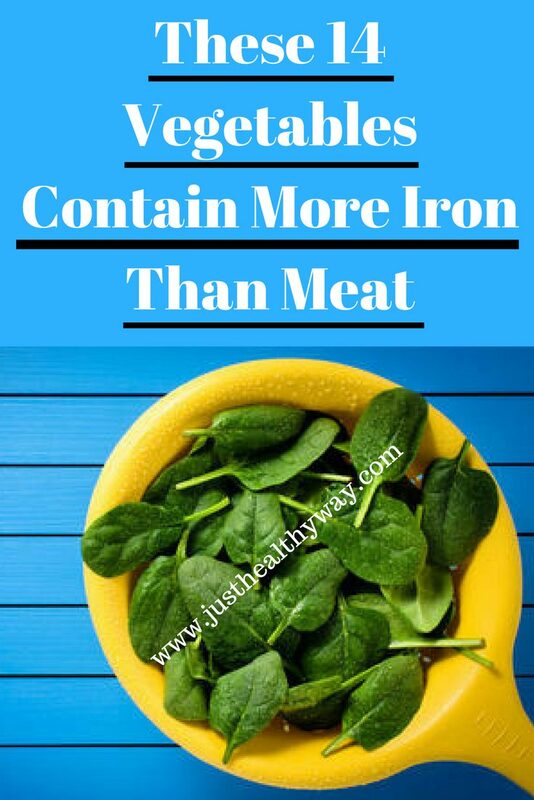 Iron deficiency leads to various symptoms, like fatigue, exhaustion, weak immunity, pallor, as well as reduces physical and mental performance. On the other hand, hemochromatosis is the condition of excessive iron levels in the body. A reduced iron absorption due to gluten intolerance, an inflammatory bowel disease, or other intestinal disorders. Reduced bioavailability of iron as a result of the excessive tea or calcium supplement. Abundant blood loss like during menstruation or childbirth. It is low in calories, but extremely rich in iron, vitamin A, and antioxidants. Its iron content is enhanced if you consume it cooked. This soy-based food is rich in thiamine, magnesium, selenium, and calcium, and 126 g of it provide 3.6 mg of iron or 19% of the recommended daily intake. Its isoflavones enhance insulin sensitivity, relieve menopausal symptoms, and lower the risk of heart disease. Nuts, pistachios, almonds, hazelnuts, as well as dates, and figs are all extremely rich in iron, but they can also be high in calories, so you should consume them regularly, but in limited quantities. Consume them raw, or add them to your smoothies, desserts, or salads. One dark chocolate portion of 30 g contains 3.2 mg of iron, which represents 18% of the recommended daily contribution, as well as 25% or the copper and 16% of the recommended magnesium daily intake. Dark chocolate is also high in prebiotic fiber, which serves as a food for friendly bacteria in the intestines. 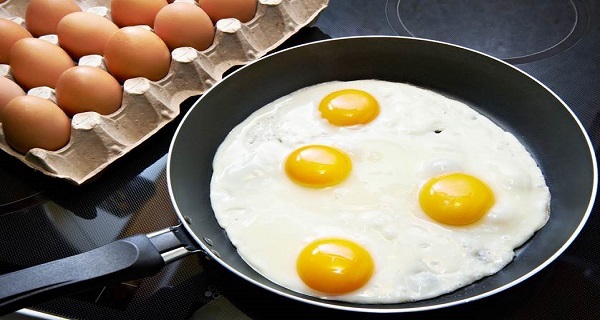 It also regulates cholesterol levels and lowers the risk of strokes and heart issues. Scientists have found that cocoa powder and dark chocolate are more powerful antioxidants than the juice of acai berries and blueberries. Yet, always choose the one with at least 70% cocoa. Legumes are generally rich in antioxidants, carbs, and fibers, but Mung bean is the richest in iron, as you can obtain 1.8 milligrams per 100 g.
They are also high in potassium, copper, and zinc, and their regular consumption has been found o lower the risk of colorectal cancer, help weight loss, prevent diabetes, and lower the risk of cardiovascular diseases. Try to consume them a few times weekly, and the ideal weekly dose would be approximately 680g. This vegetable is rich in sugar and trace elements. One can obtain 1.8mg of iron per 100gr of beetroot, as well as high amounts of betanin, magnesium, and calcium. It effectively prevents cancer, supports the function of the liver, and cleanses the blood. Moreover, it is rich in high folic acid and helps the proper assimilation of carbohydrates. A portion of 100gr of lentils provides 3.3mg of iron, lots of fibers which help digestion, and high-quality vegetable proteins. 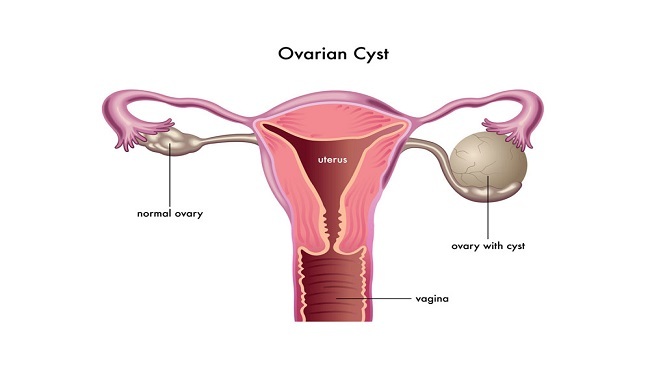 They are also high in vitamin B and magnesium and are extremely beneficial for pregnant women and athletes. Broccoli is highly nutritious, contains 1 mg of iron per 100 g. It is also rich in vitamin C, 168% of its recommended dosage, to be more specific, and this vitamin helps the absorption of iron. Broccoli is rich in vitamin K, folates, and fiber, and like all other cruciferous vegetables, it also contains indole, sulforaphane, and glucosinolates; which are powerful plant cancer-fighting compounds. Kale provides high amounts of nutrients and vitamins, that even exceed the recommended daily amount, like a 512% vitamin A and 200% vitamin C.
However, a portion of 100gr of kale provides 1.5mg of iron, which is more than in meat. Kale is also rich in vitamin K, which intervenes in the blood coagulation and helps the formation of strong and resistant bones, and fiber, which treats constipation. This vegetable lowers cholesterol levels, helps digestion, supports heart health, and slows down the passage of glucose into the blood. Pumpkin seeds are full of magnesium, zinc, phosphorus, vitamin A, F, B, and E, and 100 grams provide 35 of protein, and 3.3mg or iron. They are also high in fatty acids and polyunsaturated fatty acids, and the oil extracted from these seeds contains six times more linoleic acid than olive oil. Despite the consumption of iron-rich foods, you need to also reduce the intake of foods that can inhibit its assimilation. For instance, calcium in dairy, and tea and coffee tannins, prevent the proper absorption of this essential mineral, so make sure you also increase the intake of vitamin C-high foods and drinks, like kiwi, orange, tangerine, and lemons. 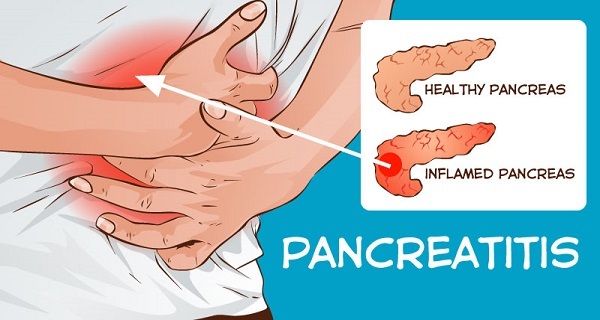 Know This, The 6 Biggest Symptoms That Occur in People Who Have Problems With Pancreas. This Can Save Your Life.